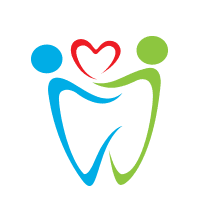 Between 2011 and 2012, the Centers for Disease Control and Prevention released survey data finding that 91% of adults in the United States had tooth decay in their permanent teeth. Because of this high prevalence, Juan Figueroa, DDS, and his skilled team at Dental Care of Deerfield Beach in Florida can remove the infected tooth’s pulp through a root canal procedure. For further questions about root canals, book your appointment online or call the office today. A root canal is a procedure done to save your tooth after the innermost part of it, called the pulp chamber, has been infected with bacteria. The pulp chamber houses your tooth’s blood vessels, connective tissue, and nerves which can become inflamed or infected because of dental trauma such as cracked or chipped teeth. What signs indicate you may need a root canal? Because there aren’t always visible signs of needing a root canal, it’s important to stay up-to-date with your semi-annual dental checkups to ensure your oral health remains optimal. 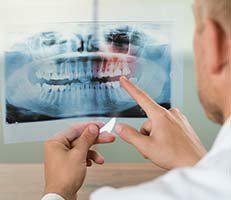 What’s the process of having a root canal procedure? Dr. Figueroa invites a root canal specialist named Dr. Espanol to perform the root canal. Dr. Espanol begins by administering local anesthesia to numb your tooth. After the anesthesia takes effect, he drills a small hole in your infected tooth to access the pulp chamber. His main concern is to remove any dead tissue along with killing any of the remaining bacteria inside the pulp chamber. Once the pulp has been disinfected, Dr. Espanol closes the opening in your tooth with a restorative filling. To finish, he places a crown on top of your tooth making it look both natural and functional. The whole procedure takes roughly 90 minutes. One of the main reasons people need root canals is because of cavities. If you don’t take care of your oral hygiene, the cavity can create a hole all the way to the inner portion of your tooth. The bacteria now has access to your pulp chamber, which can lead to a severe toothache or infection. If you’re experiencing discomfort in one of your teeth, you may have a tooth infection and potentially lose your tooth. To repair your tooth using a root canal call Dental Care of Deerfield Beach today or book your appointment online.